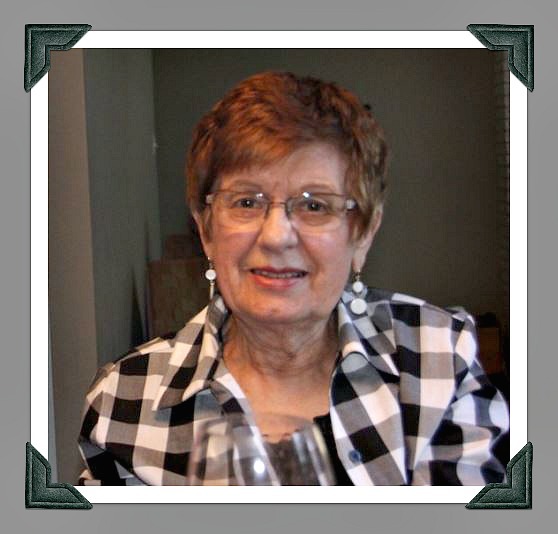 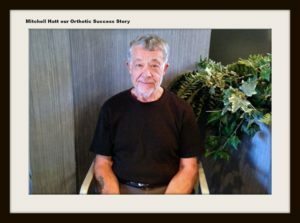 Bonnie Wentzell, our “Orthotic Success Story” shares that she thinks “our orthotics are the best”. 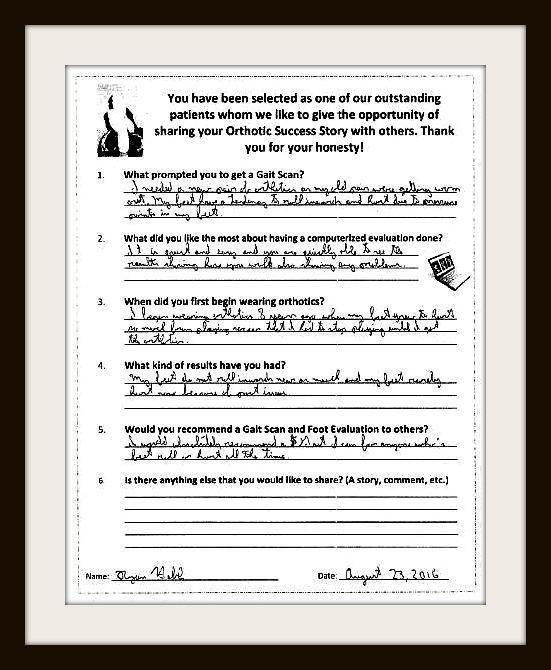 Thank you Bonnie, we’re glad to hear that! 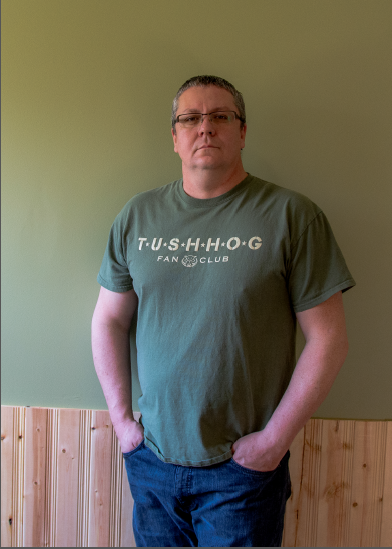 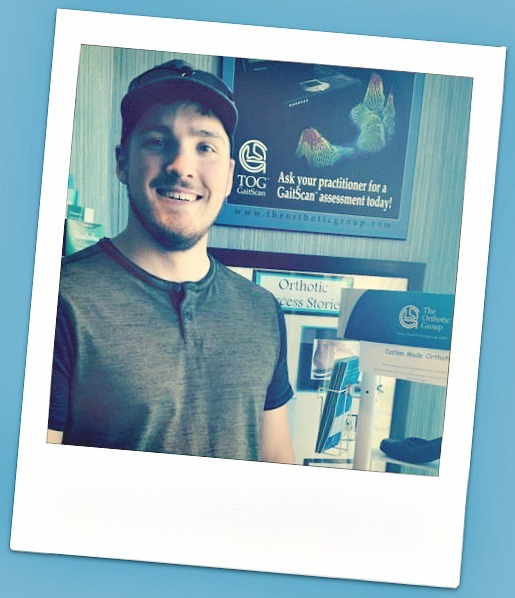 Meet Mitchell Hatt our Orthotic Success Story who has seen his foot pain “nearly disappear” and who “absolutely” recommends a GaitScan and foot evaluation! Thanks for sharing Mitchell. 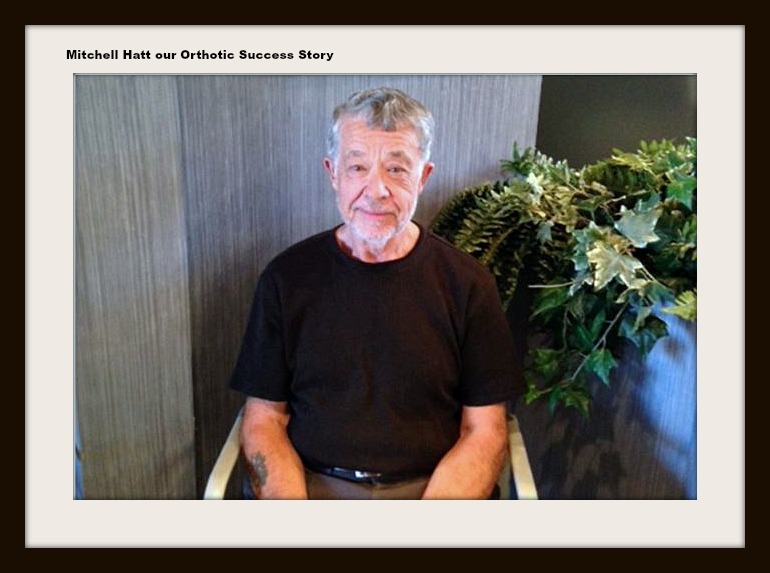 Thanks for sharing your ‘Orthotic Success Story” Karen – we are glad to hear they are making a difference! 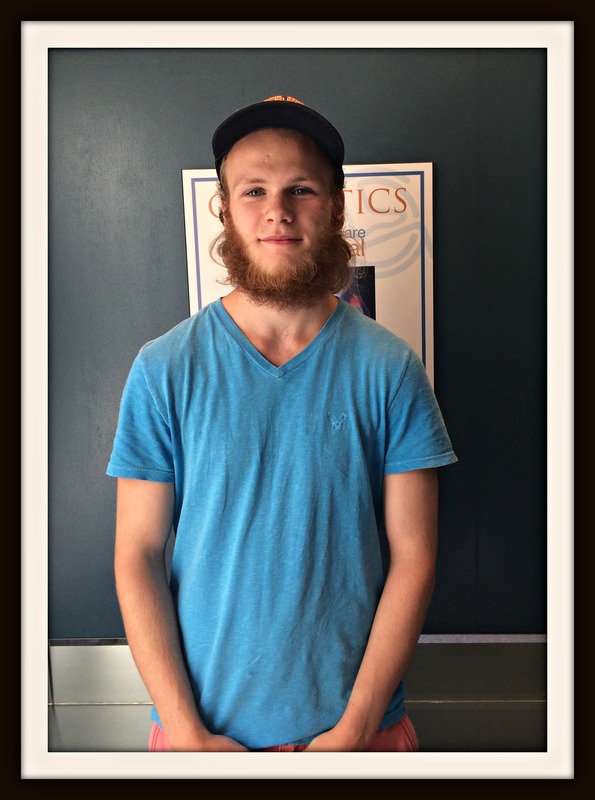 We are happy to hear your Orthotics are working for you Caleb! 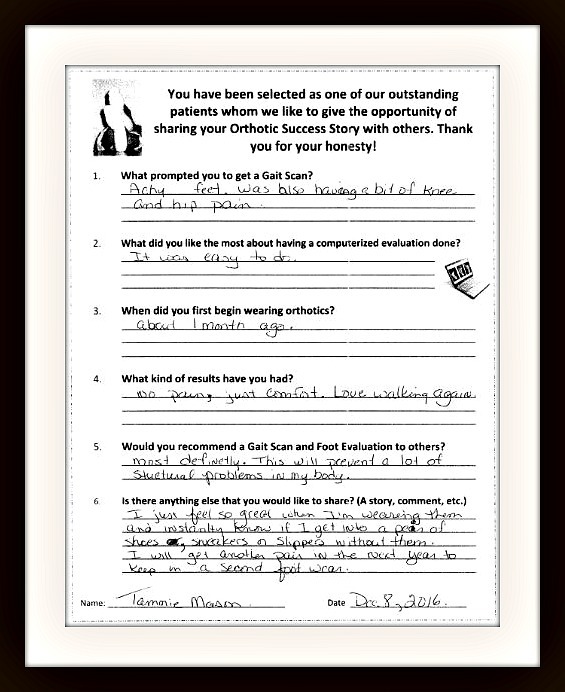 Tammie Mason…another great Orthotic Success Story…”loves walking again” . 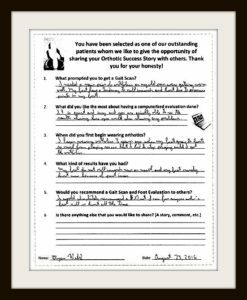 Thanks for sharing Tammie! We’re glad your feet are feeling better Ryan! 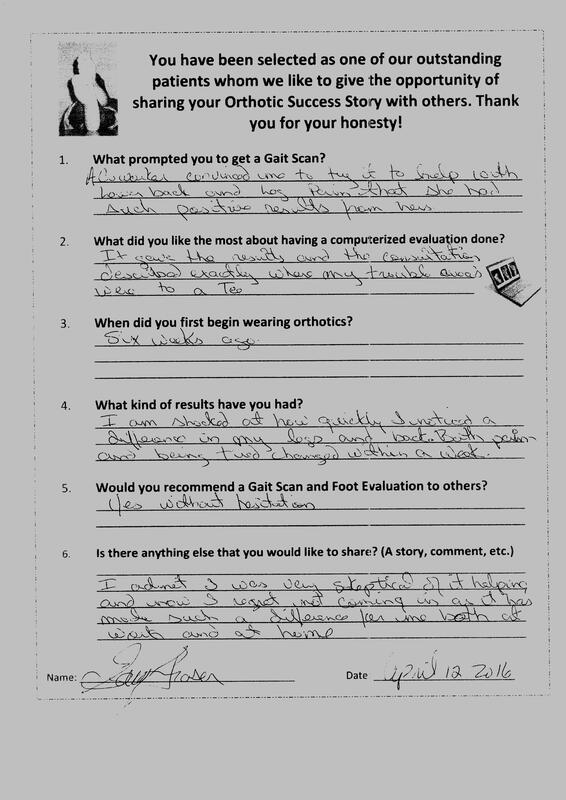 Thanks for being one of our Orthotic Success Stories and for recommending a GaitScan…it’s a step in the right direction towards better feeling feet!! 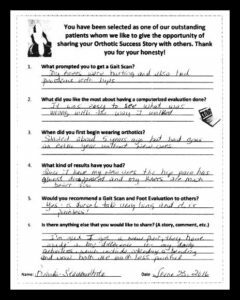 Thank you for sharing Belinda..we’re glad your new Orthotics have helped your knee and hip pain! 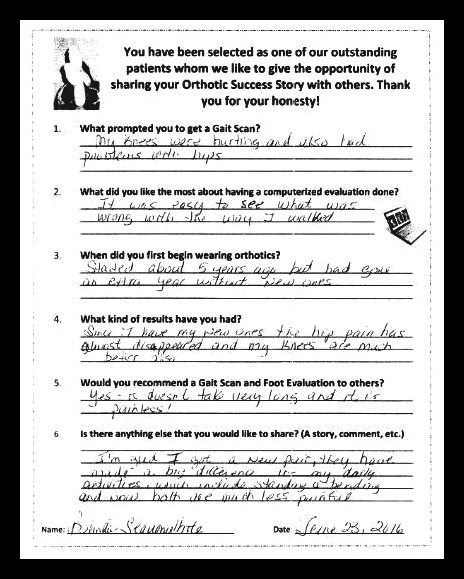 You’re right, a Gait Scan is fast and painless!! 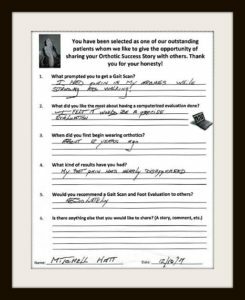 46 year old male with lower back pain, leg pain and foot pain very happy using his Orthotics at home and at work!